Site Notice: Uppercase Living is no longer in business. Were you naughty or nice this year? 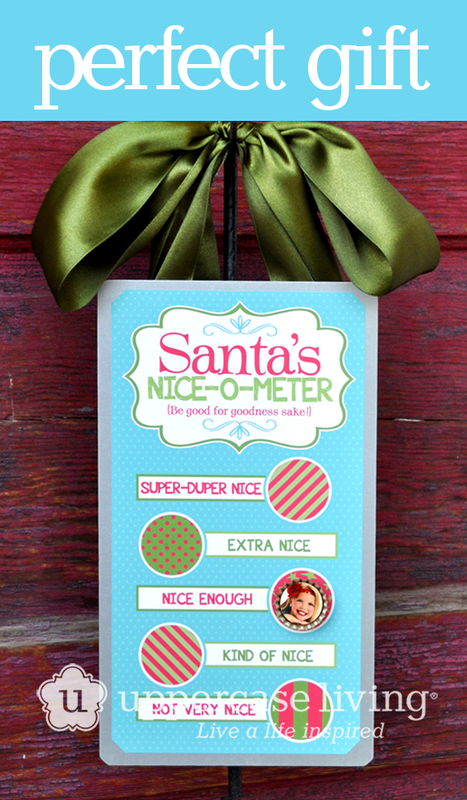 Now you can let the world know with this cute Santa’s Nice-O-Meter Kit. It’s a great gift idea for grandparents and it’s only $15.95! 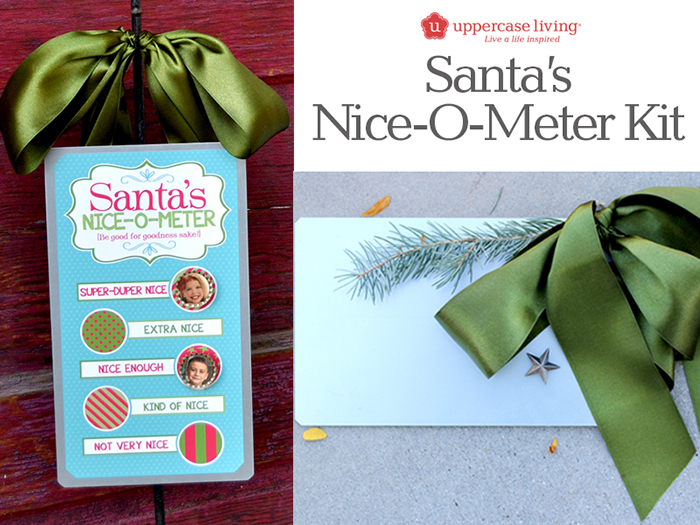 This kit comes with a full-color ink expression, a galvanized metal sheet (6.5″ x 11.5″), 2.5″ wide evergreen ribbon and a 1″ x 1″ metal star. To personalize it even more, attach magnets to a couple of bottle caps and put your kid’s pictures in them. Are you an Uppercase Living VIP? Don't miss another sale or promotion! 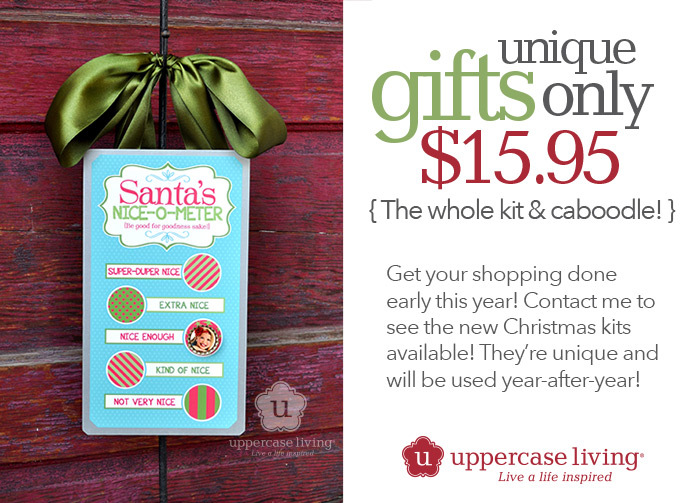 Join my mailing list to receive the latest news and updates from Uppercase Living.